Emanuele Arciuli has established himself as one of the most original and interesting performers on today’s classical music scene. His repertoire ranges from Bach to contemporary music, with a strong affinity for composers from the United States. Emanuele Arciuli continuously develops new projects and is in constant pursuit of new ideas and innovative programmes. Round Midnight Variations, a group of 16 compositions that were written expressively for Arciuli by composers such as Crumb, Babbitt, Kernis, Rzewski, Torke, Daugherty, Bolcom and Harbison, has recently sparked the interest of international critics. The variations, which were released by Stradivarius on CD under the title ‘Round Midnight – Hommage to Thelonious Monk in May 2011, have been celebrated by the international press. His numerous recordings (Chandos, Stradivarius, Innova, Vai, Bridge etc.) include Gates to Everywhere, with music by Carla Bley, Fred Hersch, and Chick Corea, the complete piano works of Berg and Webern, the world premiere of Bruno Maderna’s Concerto for Piano and Orchestra and a lot of american music. His CD dedicated to George Crumb was nominated for a Grammy Award, and his CD with works by Adams and Rzewski won the Italian critics’ award for Best Record in 2006. Recently VAI Records has released a dvd featuring Ives Concord Sonata. Walk in Beauty, a 2cd box just released by Innova, features music by such american composers as JL Adams, Bresnick, Daugherty, Gann, Garland, Higdon, Ballard etc. 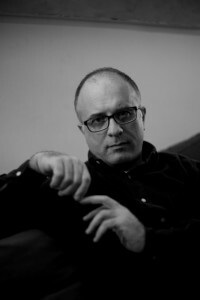 Emanuele Arciuli regularly performs at major concert halls and festivals, such as the Berliner Festwochen, Wien Modern, La Scala Milano, Biennale di Venezia, Miami Piano Festival, Miller Theater New York, Maggio Musicale Fiorentino, Santa Fe Chamber Music Festival, Brescia and Bergamo International Piano Festival. He has collaborated with internationally renowned orchestras such as the Indianapolis Symphony, Saint Paul Chamber, Saint Petersburg Philharmonic, Orquestra Sinfônica Brasileira RAI National Symphony, Rotterdam Philharmonic, Brussels Philharmonic and many others. Conductors with whom he has worked include Roberto Abbado, Dennis Russell Davies, Yoel Levi, James MacMillan, Kazushi Ono, Zoltan Pesko, Arturo Tamayo,Wayne Marshall, Andrey Boreyco and Mario Venzago. Recent highlights include Teatro alla Scala, Saint Paul Chamber Orchestra, Brucknerorchester Linz and the world premiere of Giacinto Scelsi Concertino and Huang Ruo Piano Concerto at Concertgebouw, Amsterdam. His newest comprehensive book on American piano music, Musica per pianoforte negli Stati Uniti, was recently published in Italy. Tra le orchestra con cui ha suonato in ambito internazionale, ricordiamo Rotterdam Philharmonic, Brussel Philharmonic, Residentie Orkest Den Haag al Concertgebouw di Amsterdam, RTSI di Lugano, Brucknerorchester Linz, Tonkünstler di Vienna (al Musikverein, per Wien Modern), Filarmonica di San Pietroburgo, Saint Paul Chamber Orchestra, Indianapolis Symphony Orchestra e molte altre.